If you bought a Toshiba laptop between 2011 and 2016 you might have a faulty battery pack eligible for a free replacement. Well, that's not good. Late Wednesday afternoon, the United States Consumer Product Safety Commission announced a recall for battery packs in Toshiba laptops sold between June 2011 and January 2016. The recall affects nearly 40 different Toshiba models of PCs including Portege, Satellite, and Tecra models. The CPSC estimates the recall will affect about 91,000 units sold in the United States and another 10,000 sold in Canada. Toshiba first revealed the battery pack problems when it announced a voluntary recall in late January. Anyone affected can receive a free replacement battery from Toshiba. On top of the models directly affected, users of other Toshiba laptops may have ended up with defective batteries through purchasing extra and replacement battery packs, as well as packs replaced during servicing. Toshiba has a complete list of all models that are potentially affected by the recall on its site. The computer maker also has a utility you can download that will automatically check your system to see if your battery is part of the recall. For those that want to check manually, Toshiba asks that you look on the bottom of your PC for the Toshiba model sticker. 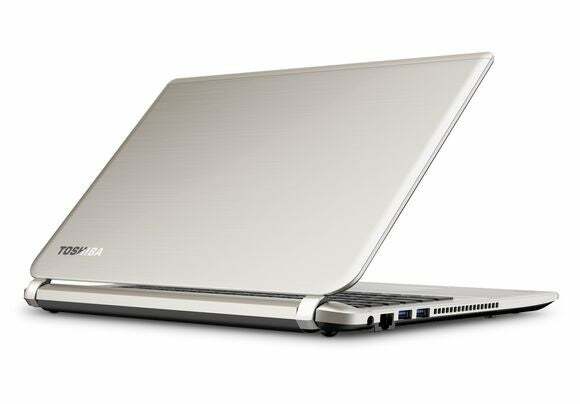 Once you find that, you can enter your PC model part number on Toshiba’s site to see if you’re affected. This appears to be the largest recall by Toshiba due to defective batteries since the company was caught up in the major Sony battery recall that started in 2006. The impact on you at home: So far, the CSPC and Toshiba are aware of four instances where defective battery packs overheated and melted. Those events didn’t result in any injuries. Getting caught up in a recall is always a pain, but it’s better to suffer without a battery pack for a few days or weeks than risk suffering damage to your system. Until you receive a free replacement, Toshiba advises you to remove the battery pack from your laptop and use the AC power adapter only.